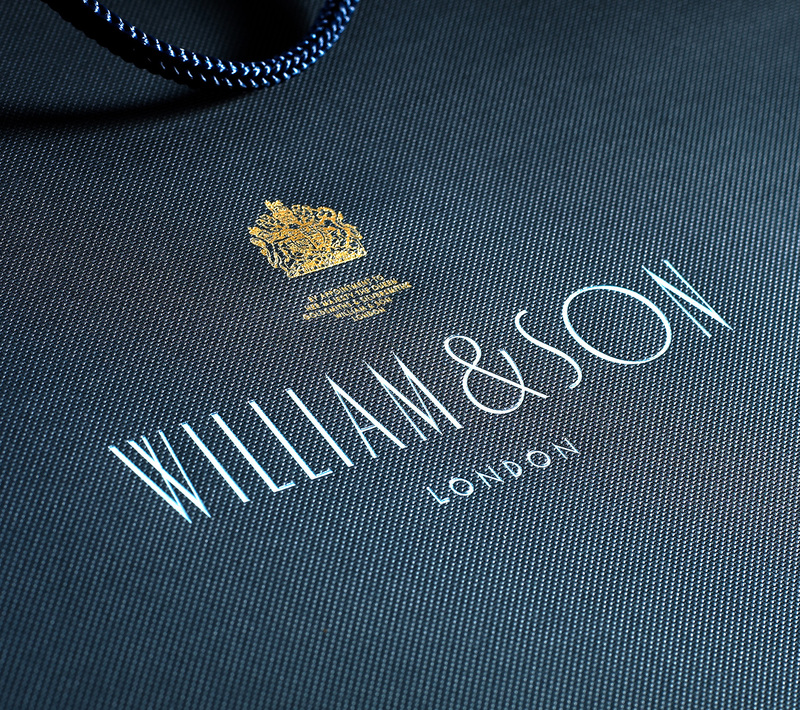 William & Son create classically British collections of the finest jewellery, time pieces, leather goods, silver and glassware as well as bespoke, handcrafted shotguns for serious field sports enthusiasts. 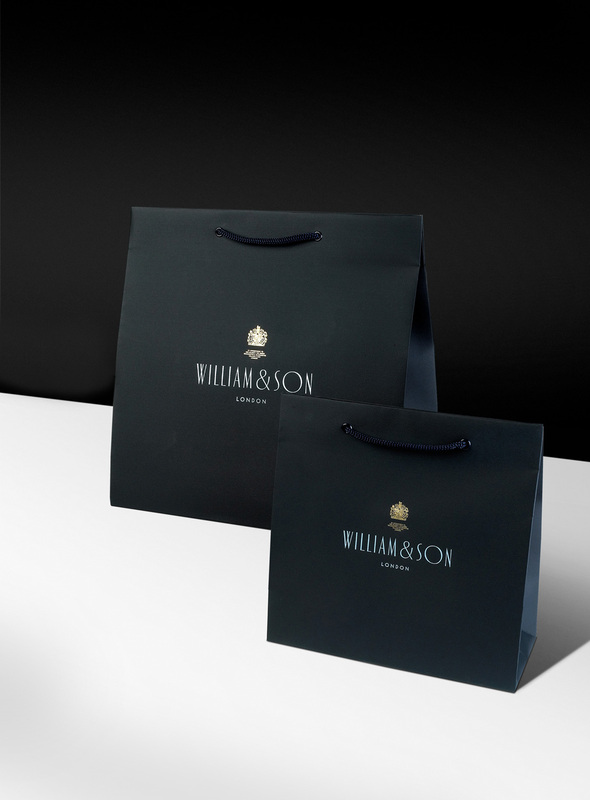 For a company who proudly hold a Royal Warrant from Her Majesty The Queen it was imperative that the rich history and traditional values of the brand were considered when producing their retail packaging. Designed by Material Organisation, Progress were commissioned to manufacture these Colorplan Buckram embossed retail bags, which were deep dyed with colour-coded inners. 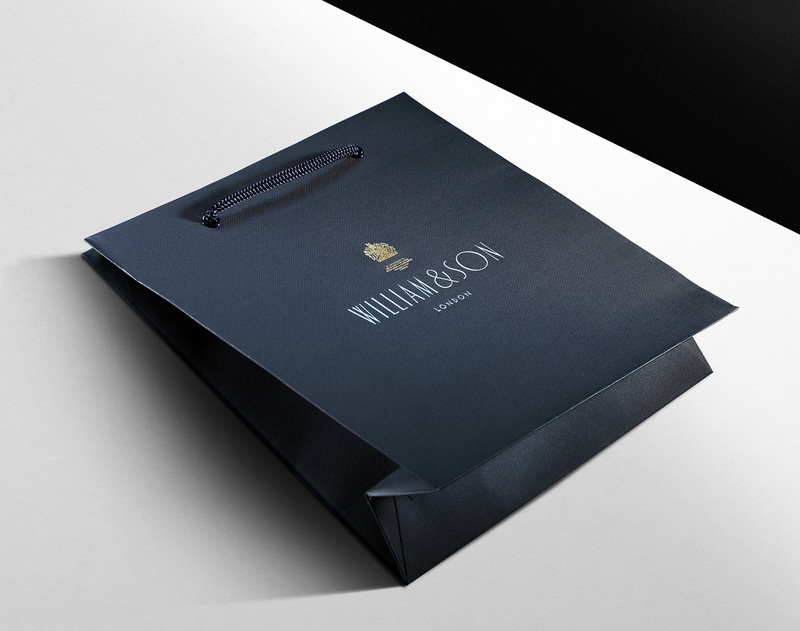 The outers were branded with a three colour foil blocked logo that included high precision detailing to incorporate the Royal Warrant marque.